PayPal has announced the suspension of all business in Turkey, following the online payment company’s failure to acquire a newly formulated payments license in the country. 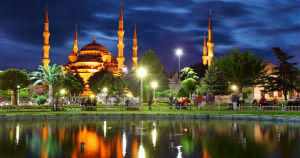 After the Turkish government took the stance to bring tech businesses under more localised control, new rules were introduced designed to force companies to make their IT systems localised, whilst PayPal currently distributes its systems over several global hubs. In a statement, PayPal said that “supporting [its] customers was very important”, but that it had no choice except to “suspend processing payments in Turkey” due to the required licence being denied. However, whilst customers will still be able to withdraw their money, the suspension of payments is expected to directly affect tens of thousands of businesses and hundreds of thousands of people across the country. The Chinese tax authorities have turned back on new laws that would have seen tighter customs rules and higher taxes on international imports sold on Chinese ecommerce sites. The laws have been removed due to concerns that the higher tax rates would deter people from importing goods, as was proved last month when the laws were introduced and Chinese social media was filled with images of abandoned goods in customs that people had refused to pay the higher taxes on. Under the new rules, there were also more stringent approvals for edible goods and tighter regulations for imports through ecommerce, which were predicted to decrease the growth of China’s already slowing ecommerce industry. The laws were finally removed after figures revealed that the change had caused a 60% fall in ecommerce orders in some areas, whilst just 3% of the goods coming through the Zhengzhou pilot zone were completely unaffected. The one-year postponement of the rules was announced last week after increasing pressure on China’s General Administration of Customs. MasterCard is looking to expand its financial facilities in Hong Kong, to help speed up the adoption of digital wallet services in the country. Raj Dhamodharan, the group head for digital payments and labs at MasterCard Asia-Pacific, said that the company was aiming to offer “high-frequency transactions in market segments such as transportation, ticketing, and food and beverage”. After launching its digital service ‘MasterPass’ in order to allow users to make purchases through mobile applications, it is now available in 29 markets around the world, but adoption in Hong Kong has been slow. This is thought to be due to Hong Kong’s residents being ‘highly concerned’ about online identity theft, something that was reported by MasterCard’s own “Safety and Security Index” study. MasterCard will also soon have competition in Hong Kong though, with American Express set to be launching with Apple Pay later this year. Whilst online video services are growing almost everywhere in the Western world, a new survey from France has shown that this has brought with it a sharp rise in online video piracy. According to research from MediaMetrie, around a third of those who had access to online video streaming had used a site that offered illegally pirated videos in the previous month. Of the estimated 46.5 million people that make up the online video audience, 14.1 million of them had watched videos illegally. The survey showed that males were more likely to use illegal sites, making up 56% of the total, whilst 10% were students. And finally, half a million people in Kenya are due to be affected by plans to move all of the country’s public libraries online. Due to the increasing demand for internet connection in Kenya, each of the 46 branches of the Kenya National Libraries Service will receive new computers, tablets and access to fixed and wireless internet. Ben Roberts, CEO of Liquid Telecom Kenya, said, “Connecting the public libraries means everybody will now have access to digital and online information – including e-government services, research, education services and employment opportunities”. The internet will be free of charge within the libraries and will be available to all members, including all 100,000 members of the Nairobi head library.